I MEANT TO PUBLISH THIS YESTERDAY, BUT MY INTERNET WAS NOT WORKING. Finally, after being down 3-1 in the series and having a goal that was disallowed (which sould not have happened), the Blackhawks are in the Western Conference Finals, and they will be playing the Los Angeles Kings. Game 1 is Saturday night. So on Sunday, I did my fifth Bike the Drive. 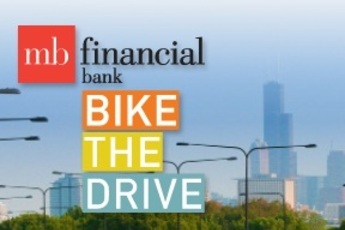 The Bike the Drive is a bike ride along Lake Shore Drive every year on the Sunday before Memorial Day. The ride starts at 5:30 A.M., so my mom and I had to get up at about 4 to get down there on time. The whole ride is about 30 miles, but on the parts of Lake Shore Drive that we ride on, there are a lot of hills, so it really feels like 35 or 40 miles. This year, I did the ride in my best time of about 1 hour and 45 minutes. The ride itself is split up into three parts. The first leg is about 7.5 miles. It starts at Monroe, which is at 100 S. and it stretches all the way to the Museum of Science and Industry, which gets to about 5900 S. The second part of the ride is the hardest part. It is 15 miles. It starts at the Museum of Science and Industry (5900 S.) and stretches out until Bryn Mawr, which is at 5800 N. There are also a lot of hills on this part of the ride, which makes the stretch brutal at some parts. The final part of the ride is about another 7.5 miles. The part goes from Bryn Mawr back to Monroe, but right at the end of the ride, the riders have to get up the largest and lengthiest hill of the whole ride. The hill is not too steep, but it is steep enough where getting up the hill is a big challenge, but the other problem about the hill is that it stretches for about 3 city blocks, which is almost one half of a mile, and by the time you get to the top of the hill, you legs are burning. Luckily, the last few blocks of the ride are just going down the hill and once you get to the finish line, the feeling of completing the ride is amazing. Ever since the Cubs played their first game, I have been waiting for my baseball season to start, and finally, it is here. Last year, I was on the Cubs and we went 3-15. This year, I am on the Cardinals, and I think that we have a pretty good team, so I think that we are going to win more than three games. So far, we have won a game and lost a game. I have a home run, four RBIs and I have pitched four innings. In those four innings, I have gotten twelve people out, and eight of the outs of have been strikeouts. Our season runs into the end of June and if we get into the playoffs, we play until after the 4th of July. I am hoping that we will make the playoffs this year considering how my team did last year. On Thursday, I had to go take a math placement test, and I had to get up at 6 so I could get there in time. Right as my mom and I were about to leave, we got a call saying that we didn't have school.Right then, I looked outside and realized that our backyard had now turned into a pond. So we leave for the test and when we are coming back, rain has now been coming down hard for a long time now, and as we are driving, we see some of the Des Plaines River. If you did not see the river while it was flooded, it was crazy. The water seemed to be about ten feet above normal and I swear, I could have touched the water by just leaning over the bridge. We also got to a point where we were able to see Silver Creek, which is a part of the Des Plaines River, and when I looked at it, there was a lot of mist on the top of the water, and it looked really creepy. Finally, when we got close to home, we passed a cemetery, and at first, it didn't seem like there were many headstones. Then, I realized that about half of the headstones were fully underwater, which was crazy. When we got home, we looked at our basement (our basement floods a lot), and to our surprise, we had one and a half feet of standing water down there. We also later realized that the water had reached our furnace and hot-water heater, so for about a week, we are not going to have any heat or hot water, which will be an interesting experience. So as I was going through, reading other people's blogs, I came across one of Conor's blogs that said that Louisville was going to win the national championship. As you might have been able to tell, I like Michigan, and Michigan is in the national championship game, so naturally, I am rooting for Michigan, even though most people think that Louisville is going to win. So far, Michigan has been playing a very good game, and they are beating Louisville at halftime, 38-37. Spike Albrecht, a freshman who has not played much this year, has had a spectacular game so far, scoring 17 points in the first half and making all four of his three-point shots, including one that was way behind the three-point line. That's all for now. GO BLUE! So for the second half of spring break, I went to San Francisco to visit my uncle. I got to San Francisco on Thursday, and I left on Sunday. I had to take two flights on Thursday. My first flight was to Los Angeles, and then I had to take a connecting flight to San Francisco. When I got there, my uncle took me to Golden Gate Park, and after going around the park, we went to a science museum in the park, and it was really interesting. After that, we went to some of the other public parks in San Francisco, which were really amazing. The next day, we went down to the Bay Harbor and visited some of the piers, including pier 39, where we saw a lot of sea lions. We also went to the Coit Tower, where we had a great view of the whole city. Then, we went bowling, which was only about a block and a half away from his apartment. After that, we went to a San Francisco Giants spring training game, and AT&T Park (where the Giants play) is only about 2 blocks away from my uncle's apartment, so it was easy to get to both places.The next day, we went to a place called Sutro Hills. San Francisco is on the west coast of a peninsula that stretches off the mainland of California, and Sutro Hills is on the east side of the peninsula. Sutro Hills is right along the Pacific Ocean, and there were ruins of "housing" where people suffering from leukemia and tuberculosis would go to try to heal themselves. It didn't work, but some of the foundations are still there, and we were able to walk on and across them, which was really fun. There was also a gigantic piece of rock jutting out of the water that we were able to walk in. There were sort of little caves in the rock, which we were able to explore. We were also able to go to the top of the rock and look over the cliff and see for many miles. After that, we went to some other places that I can't remember, and to finish off the night, we went to Oakland and saw a Golden State Warriors game. We didn't do much on Sunday except for going to the airport and on my flight home, we stopped in San Diego, and while in the plane, I could see the gigantic naval base there, and there were a lot of huge battleships, aircraft carriers, and other various vessels. Overall, the trip was great. Last night, I went to my second Blackhawks game, and it was a great game. They played the Colorado Avalanche, which was the team I saw the Blackhawks play the first time I went to a Blackhawks game. The scoring started when Andrew Shaw redirected a shot from Brent Seabrook for a goal about halfway through the first period to give the Blackhawks a 1-0 lead. The Avalanche answered when John Mitchell scored a goal with about one and a half minutes left in the first period to tie the game at 1-1. In the second period, the Avalanche took a 2-1 lead when Matt Duchene scored with about 7 minutes remaining in the period, and the Blackhawks could not answer during the rest of the period. Then it got really crazy. About two minutes into the third period, Jonathan Toews scored a short-handed goal to tie the game at 2-2. A short-handed goal is when a player scores a goal when his team is down at least one player because they have committed a penalty. As the game went on and the clock wound down in the third period, both teams had a few really good chances to take a commanding lead in the game, but nobody could put the puck in the net. Finally, with about a minute and a half left, the Blackhawks got the puck into the Avalanche zone and had a flurry of shots and near misses, but with 49.3 seconds left in regulation, Daniel Carcillo, a forward for the Blackhawks, was able to force the puck into the net to give the Blackhawks a 3-2 lead, and it turned out that the goal was Carcillo's first goal of the season. In the final seconds, the Avalanche were able to get one or two chances to tie the game, but they could not convert on those chances, and the Blackhawks won the game 3-2. The win was their 11th in a row, and stretched their streak of at least one point earned in a game to 24 games, which has demolished the previous record of games like that to start a season. In the 24 games, the Blackhawks have won 21 and have lost 3 in overtime. They will now try to break the 1980 Flyers team for most games straight of registering at least one point at any time during the season. That year, the Flyers were able to rattle off 35 such games in a row, 25 of which were wins and 10 of which were ties. The picture at the top is of Carcillo, #13, celebrating his game-winning goal Johnny Oduya and Nick Hjalmarsson. So today has been really crazy. When I woke up, I thought that we had a snow day because I din't hear anybody. Then, when I looked outside, I saw practically no snow in the street, so I thought that we had school today. Next, I looked at my clock and it said 8:45 so I realized that we did have a snow day. I didn't do that much until my sister came down, and then we decided to make a big fort out of some blankets and chairs. We got the idea from when we made a fort like it last year, and I have to say that this year's version was a lot better. I have a picture of the inside of the fort and a picture of the outside of it at the bottom. Then, at 1, Chris, his brother, Will, his brother, Marco, and me went to the sled hill, and it was crazy over there. There were tons of people over there, and people were crashing into other people everywhere. We all kept going down in a little pod-like group, and we kept breaking apart from the others and we ran into and knocked down a lot of people. At one point, I had slipped while going up to the top of the hill, but I was able to catch and hang onto Chris's brother's coat, and while the rest of them were going down in their sleds, I was going down on nothing except for my stomach. It was also really fun when I would see a lot of people ahead of me, and then I would get turned around and I would start going backwards. After that, we went to the other side of the hill and went down the back of it, which was really fun, and then we had a massive snowball fight that was really intense and fun. Finally, we went back to the front of the hill and we did some more sledding as a pod. After a little while, we met some more of Will's friends, and we went down with them, and in the end, we all went down the hill in a 10-person group, and we kept falling into each other and other people and their sleds, and the group would always fall apart in one way or another by the time we got down to the bottom of the hill. After that, me, Marco, Will and his brother all went to Will's house, and we had another snowball fight before we went inside to warm up. Before we finally left, we had a final snowball fight, but this time it was everybody for themselves, and there were no teams. As a whole so far, the day has been great, and it has been my favorite snow day ever. Hi. This is Ned. I am in 8th grade and these are my blogs. I will be updating them every week. Enjoy.